Do you remember when you first learned your A, B, C’s? I remember printing with a fat red pencil in first grade. We’d do a whole sheet of just one letter. I can’t recall if we did the capital letter and the lower case letter on the same page, or did we learn all the capital letters first? I can still smell the smooth, off-white paper with the blue solid lines and the dotted lines. And I loved the stickers we’d get when we showed the teacher our finished page. She (or we) had to lick the sticker to make it stick. Imagine! I really did go to school in the dark ages. But if you want to wrap your mind around an amazing concept, ponder those lines and squiggles and what they mean to our lives. Without the alphabet, there would be no sharing of thoughts on menopause. Without the alphabet, we’d all have to gesture. What crazy theatrics that might make, if we could only describe The Great Pause through gestures. And here’s a fun question: Do you have a favorite letter? 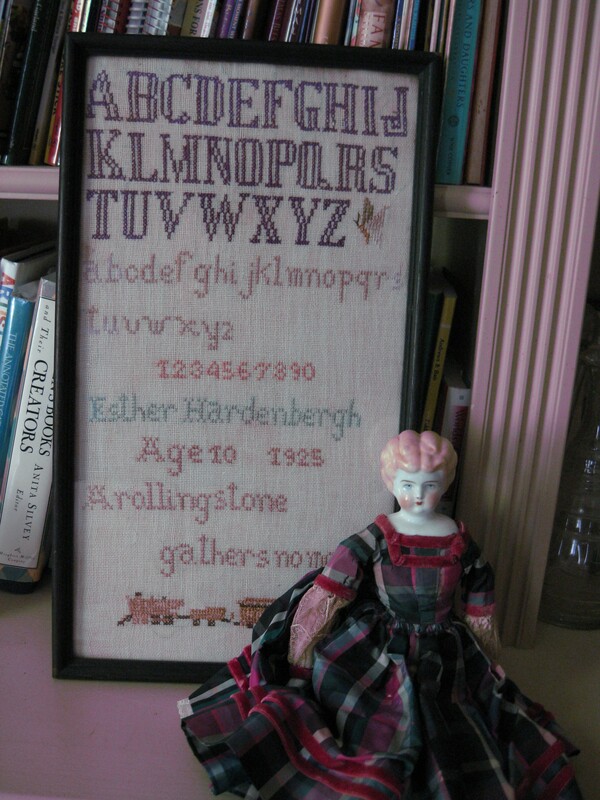 Photo: Essie (Esther Hardenbergh) stitched this sampler at age ten in 1925 in Minnesota. 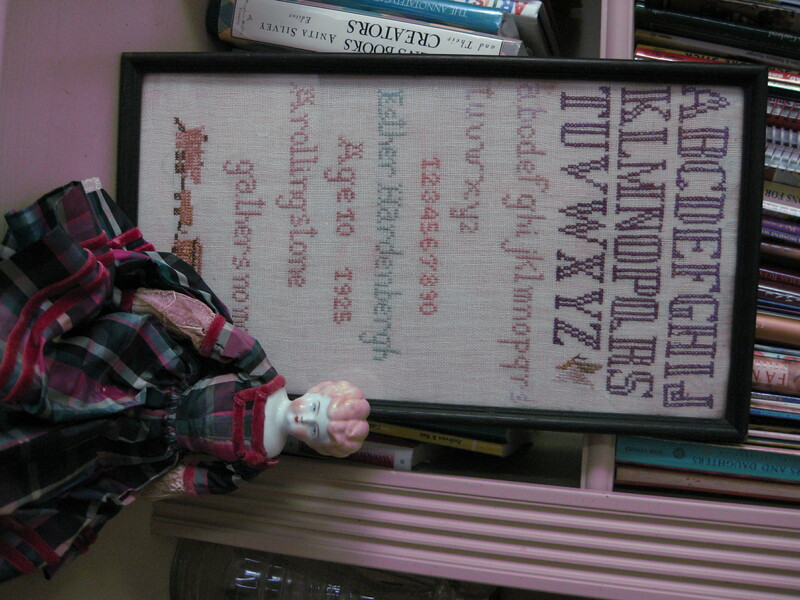 Essie certainly mastered the alphabet (and numbers). She earned a PhD in biochemistry from Harvard, quite unusual for a woman of her time. I bought this treasure at a charity auction here in Hillsborough, North Carolina.